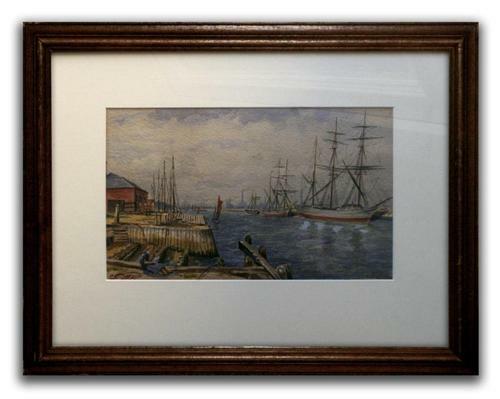 This is one of two sensational paintings of similar dockside subjects that we have by this watercolourist. The signature is a little 'challenging' but, by my best guess, it reads M. E. Bookman. The artist demonstrates stunning technique and a real eye for detail which he lavishes liberally on this charming 'salty' composition. The date is best guess based on style, subject and general condition.